The Amateur Radio Experimenters Group is planning another High Altitude Balloon Launch. Designated Horus 38, it will be an internal project team flight carrying payloads specifically for AREG members. Multiple payloads will be included. UPDATE: Due to the high wind conditions at the launch site, most of the payloads did not make it off the ground (including the video and SSDV payloads). Currently only the LoRa Cutdown payload is in the air. Chase teams are en-route to recover this payload now. You can track the balloon and chase car positions using the HabHub Tracker, available here. LIVE IMAGES from the experimental imagery payload will be available at this link. 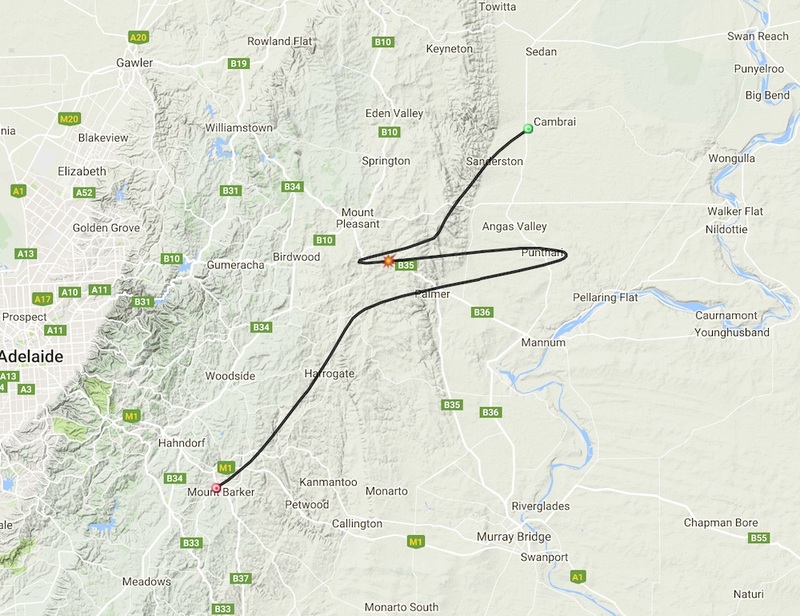 The following is the predicted track for the balloon tomorrow. We will be targeting a 5m/s ascent rate, a 30km burst altitude, and 7.5m/s descent rate. 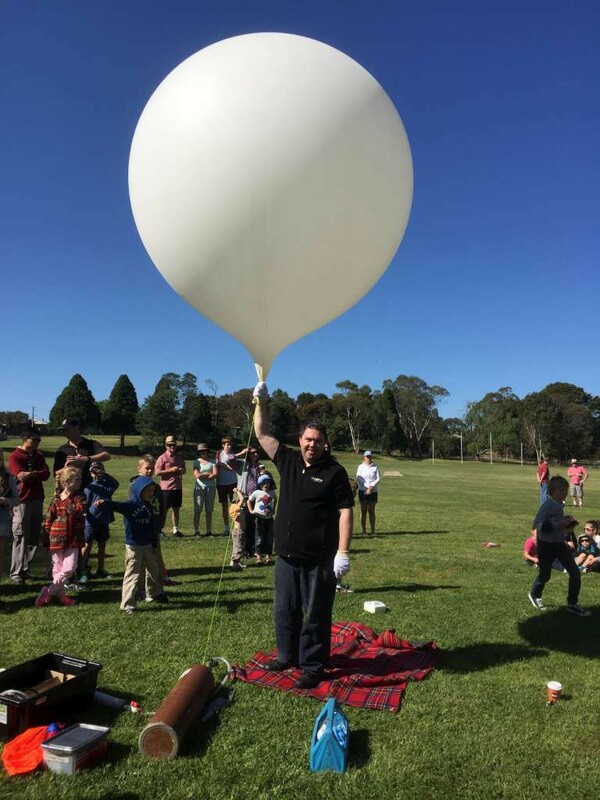 Mark VK5QI and David VK5DGR have been working on a slow scan digital image payload for the balloon system which transmits at 115kbit/s on a new downlink channel. This system makes uses of the UKHAS SSDV server to stitch together images from packets uploaded by multiple receivers. It first flew on Horus 37, and after some refinement will be flown again on this flight. Information on this system is available here. We are also going to fly an upward facing and an outward facing camera, and hope to collect images of the balloon expanding and (hopefully) bursting, as well as some HD video imagery similar to what was achieved back on Horus 12. Thanks to Scott VK5TST and Josh VK5JO for the loan of the GoPro Hero3 cameras for this flight. When: 13th November (Sunday), approx. 10AM CDT launch time.